Massive Open Online Courses (MOOCs) have often been cast as business education’s bad guy; free, alternative online courses disrupting the market and threatening the traditional business school model. The reality is different. For several years now, business schools have been developing their own MOOCs – in collaboration with leading MOOC platforms like Coursera – ostensibly to highlight their areas of expertise and reach new international audiences. Spain’s IE Business School - ranked eighth in the Financial Times’ Global MBA Ranking 2017 - launched its first two MOOCs in 2014. Since then, its developed 16 more MOOCs in both English and Spanish, and plans to launch several more this academic year. IE recently surveyed 140 of its successful MOOC-takers – completion rates for MOOCs are characteristically low. Although the school claims its MOOCs weren’t set up to drive a profit, 72% of the survey respondents said they were more likely to enroll in paid-for programs at IE having taken the MOOC. In Spain and Latin America, only around 50% of the survey respondents had heard about IE before taking the MOOC. Outside the Spanish-speaking world, just 37% of MOOC-takers had heard about IE beforehand. “Based on our survey results, a MOOCs is a pretty good tool to later convert MOOC-learners into paying students in our MBA or master’s programs,” says Monika Hamori, professor of human resource management at IE. By the end of October 2016, IE had 67,000 people registered for its MOOCs, and around 28,000 actively engaged. Even if a small percentage of IE MOOC-takers go on to take paid programs at the school, the returns are there. HEC Paris’ active MOOC-takers top 100,000. However, Vanessa Klein, the French school’s MOOCs project director, has doubts over the quality of applicants that MOOCs can generate. “We are not reaching the same people that we would want to have in our courses,” she says. “We have a selection process at HEC where only a few of the students taking the MOOCs could compete,” she continues. Are MOOCs a money-spinning applicant generation tool? Business schools wouldn’t put it that way. The inclusive reach of the MOOC could also represent a problem. But, even so, Vanessa admits that there does appear to be a correlation between people who take MOOCs offered by HEC Paris, who then go on to take paid-for programs at the school. “For sure, we have students interested in taking an HEC program who discovered us through the MOOCs,” she says. Gareth Howells, executive director of the MBA and Masters in Finance at London Business School (LBS), has found much the same thing. Nicolas Glady, professor and Accenture strategic business analytics chair at ESSEC Business School, agrees. 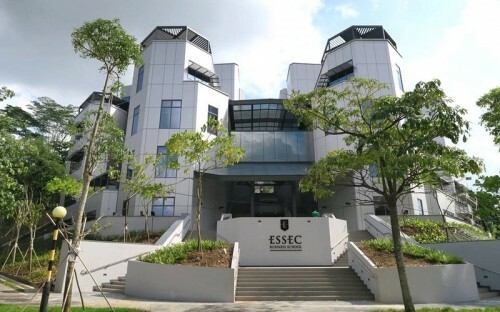 ESSEC launched its first MOOC just over a year ago. For business schools, the MOOCs are more than just a vanity piece. Roshan Boojihawon is director of the Online MSc International Business at Birmingham Business School – the wider university is part of FutureLearn, the first UK-led MOOC learning platform. While Roshan is yet to see clear evidence of MOOCs driving paying applicants to the school, he expects an impact. “The greater logic seems to say that more informal learning products like MOOCs will lead to more formal learning,” he says. “A lot of people test products and different offerings in the market,” he continues.